This is the second of three interviews I’ve translated with the three big staff members of Free! Eternal Summer. – Looking back, what were your impressions of Free! following it’s conclusion? I became quite familiar with drawing guys. (laughs) It felt really worthwhile due to all the support we received. It was much more than I expected. – There was quite a lot of support from the female fans. Though there were a lot of times I had to study in order to fulfill Utsumi-san’s requests, since the story was so entertaining, I found myself getting pulled in. It was fun to work on it. – Having spent a year working on them, how have your drawings of “muscles” changed? At first I spent a lot of energy drawing them, but I’ve gradually chipped away the pointless portions, so now they feel natural. I feel like I’ve found a good compromise for anime. I don’t know if that’s a good way to draw real musculature though. I’m still in the middle of evolving my style. Since they’re swimming, it’s inevitable there’d be lots of scenes where muscles are exposed, so I had no resistance. If I got upset, it’d just take longer to do. – This is a work with a lot of female fans. Knowing that, did you focus on anything in particular? I worked while ensuring that they had a cool expression on their faces at all times. I received a extortionate amount of lessons from Utsumi-san on the topic, so while I worked hard to ooze out the coolness through expressions and poses, I did add a few portions of my own style of coolness too. – Were there any alterations you made for the characters who changed outside the first season in this season? Fundamentally, their appearances haven’t changed at all, however their growth from the first season is faintly apparent. As production on the first season was nearing its end, I begin attaching muscles to everyone to make them appear more manly. Though there are some portions that became sharply built, I endeavored to return to our starting point. Rin, who was limited to irritation and frustration in the first season, has finally broken through that and is shown smiling with everyone in the second season. As the original Rin expressions have shown, so has his depth. Haruka is also opening up his soul as well bit by bit. Through swimming the relay, he’s become aware of others around him. But Haruka is Haruka. We didn’t rid him of his usual expression; he’s still got that cool sense around him. 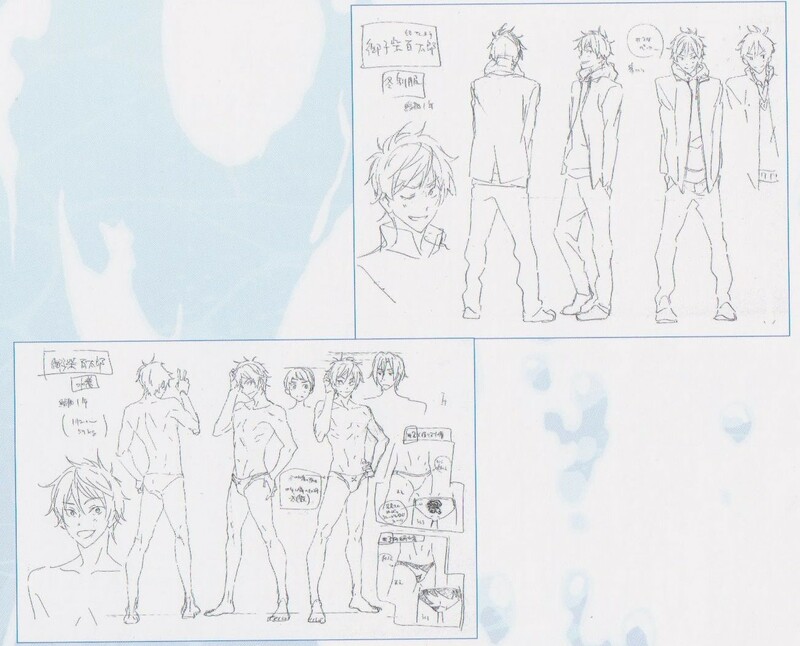 – In Free!, each character grew in their own way in portions. What did you talk to director Utsumi about during production about how to best express that growth in the characters? I did want to keep drawing that stingy rival atmosphere when it was time for them to compete though. – What did the director explain to you about the new characters added? She explained that while Sousuke was still Rin’s childhood handsome friend, there was a sense of distance about him regarding practicing with each other. She also mentioned that Momotarou inherited that same lively feeling that his older brother Seijyuurou had. – Again, could you please tell us the points you focused on while designing them and what portions troubled you? 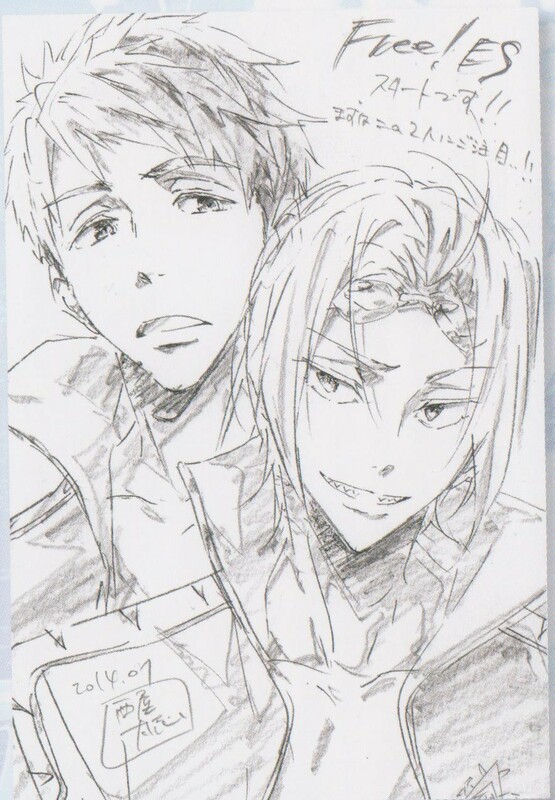 I wanted Sousuke’s dressed up portions and his upward looking points to become more manly. I firmly worked to differentiate that from the other characters as you need to make a new character’s prescience felt. He’s also intimidating with his body and strength due to that highly trained body. Above all other looks, his superior expression towards others matches him the best. It give that impression that he alone is taking a farsighted look on events. – Was he a character that felt like he was competition inside your studio? Sousuke was a character whose image became solidified inside Utsumi-san. His hairstyle also wasn’t like the time with Rei where we couldn’t find a pattern; we settled on it surprisingly quickly. – What kind of feelings do you have about Momotarou? – While you were drawing, what did you pay particular attention to or what did you point out to the staff when they were working? That sense of humanity. I kept in mind that they were “humans” living in that world as I drew. – Is there anything that makes you go “I want to see everyone wearing this!” during Free! ES? I’d like to see everyone in a white suit….. Not just the Samezuka side, but the Iwatobi members too. (laughs) Also, it was great to draw everyone in the winter uniforms during episode 1. That was very enjoyable. Makoto, Rei, and Nagisa’s casual wear was really easy to draw. Anything looks good on them. But Haruka worried me. You want to bring out his personality, but also how different he is from the other characters too. Rin was mostly dressed in blacks during the first season, so perhaps he’s a bit more colorful in this one. It’s a swimming show, so there are many times where I’ve had to draw them in sailor suits. I think it’s a good match with the show’s image. Personally, I like their summer uniforms the best. With the abundance of swimming scenes in this season, there’s a lot of times for them to wear their jerseys for those who didn’t think we’d draw them. – How about the swimsuits? Yes, the swimsuits have been changed! Both schools have changed so please enjoy seeing their new competitive swimsuits! – What kinds of things that may not have been designed in the settings materials, but you included in images? That’d be Makoto’s glasses, right? (laughs) We only used them once in an endcard. – Who was the one to design those glasses for him? – Do you have any secret stories from your conversations with the staff that you can share? These are my impressions rather than any secret stories. Everyone really loves Free! and works while pouring their love into the production. They don’t need any special motivation; they just put their effort into it for it to be seen. It’s really seen in the magazine illustrations. I enjoy checking every one of those. 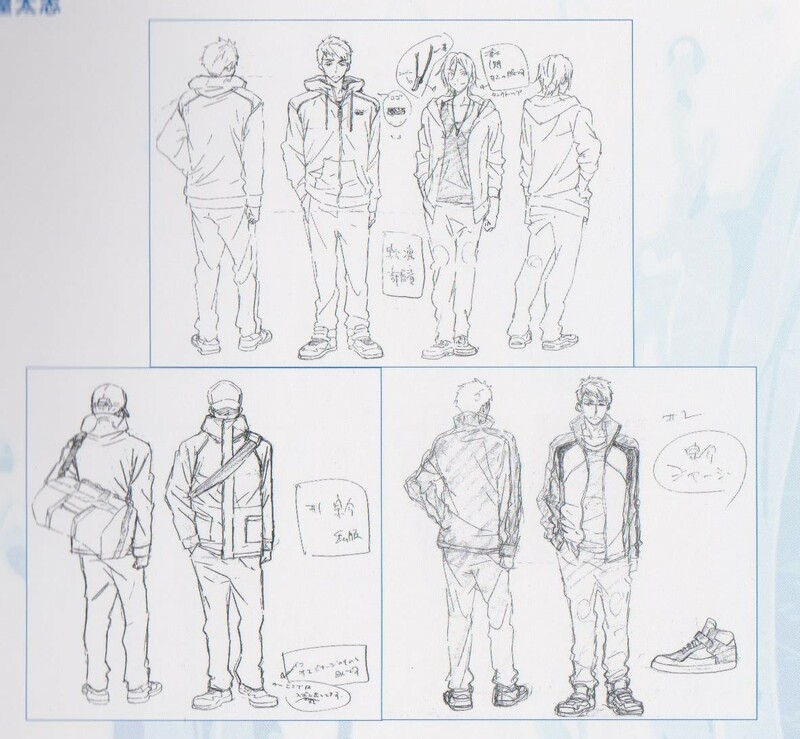 Since Utsumi-san’s vision is so precise, everyone wants to research the current high school trends in order for them to be able to draw them effectively. – Were there any impressive episodes in your conversations with Utsumi-san? Utsumi-san will find one way or another how to explain an image, so it’s easy to immediately visualize it. She would find various ways to present her ideas without giving her own personal comment on the material. She and I feel the same points are cool, so I wanted to dig out the ideas inside her this season as well. 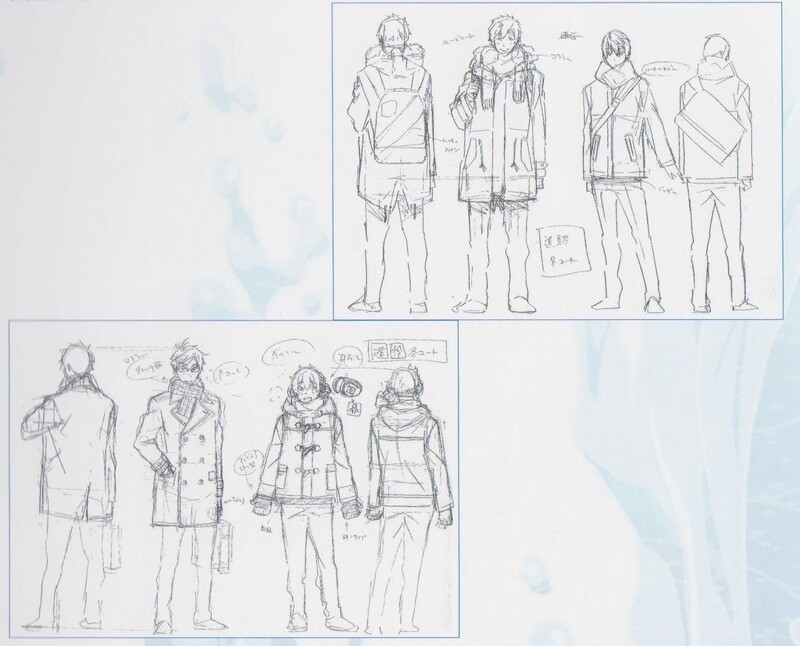 – Please tell us any hidden tales about the designs of “Sousuke” and “Momotarou” before they were completed. While we were concerned that giving Sousuke black hair would overdo that “dark” feeling for him, it just fit him so well that we had to decide to use it. He’s not a character that would have a new side to him, right? It really made me happy to hear that Momotarou was popular from the very beginning. – What kind of characters do you see them as, Nishiya-san? Personally, I’m really fond of Sousuke. He has that kind of manliness that none of the Free! characters up until now had. 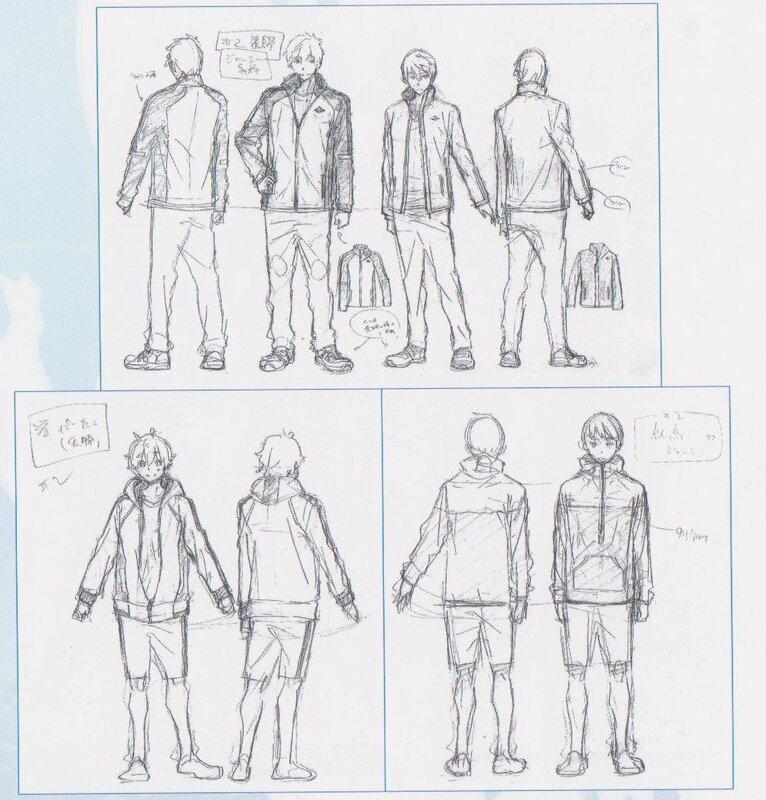 The story moves forward with both Iwatobi and Samezuka members balanced in depiction, so I think the fans will enjoy seeing them equally depicted. – What kind of developments did you want to see this time for the Samezuka side? This time, we’ll depict new and other members of the team. Everyone wants to become that strong “veteran Samezuka” power. Please enjoy seeing Nitori improve as a swimmer and the process by which the Samezuka team is formed. Of course we also wanted to depict the Iwatobi side and their continual growth from the first season. – Please give all the fans awaiting the second season a message. It made me really happy and I enjoyed depicting the two different teams growing. The matches and showdown scenes have been enhanced visually from the first season. We wanted to have no regrets! Definitely enjoy it! 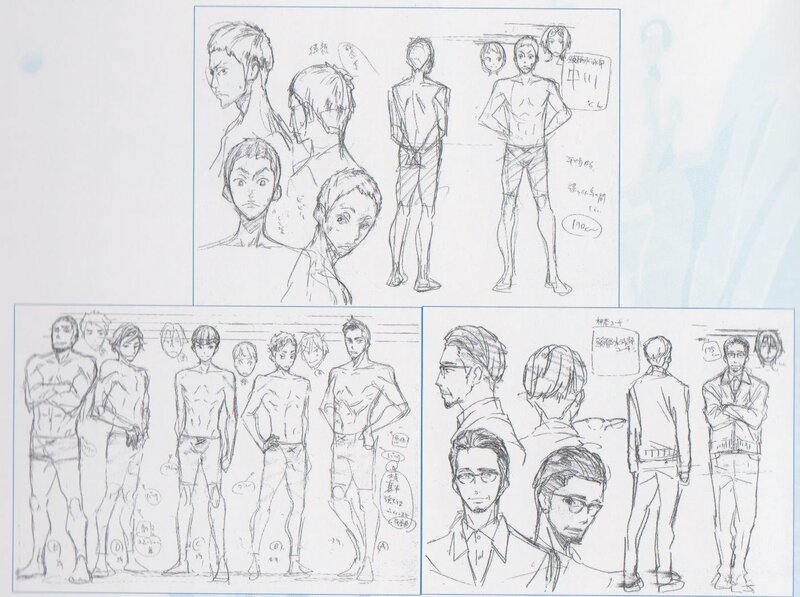 This entry was posted in FREE!, Kyoto Animation, Translations and tagged character designer, chief AD, free!, futoshi nishiya, interview. Bookmark the permalink.